Nazzareno (Rome, Italy) on 2 November 2016 in Cityscape & Urban. I have always thought that a good sky in an image adds to the shot, this is a good example of this. A superb image. Bel cielo in bianco e nero. Posso venire al tuo blog per più di tre settimane, vado in vacanza. Forse con la tavoletta di mio marito. Buona fortuna, Nazzareno, e presto ! Quel ciel NB superbe forme et ces voitures merveilleux. 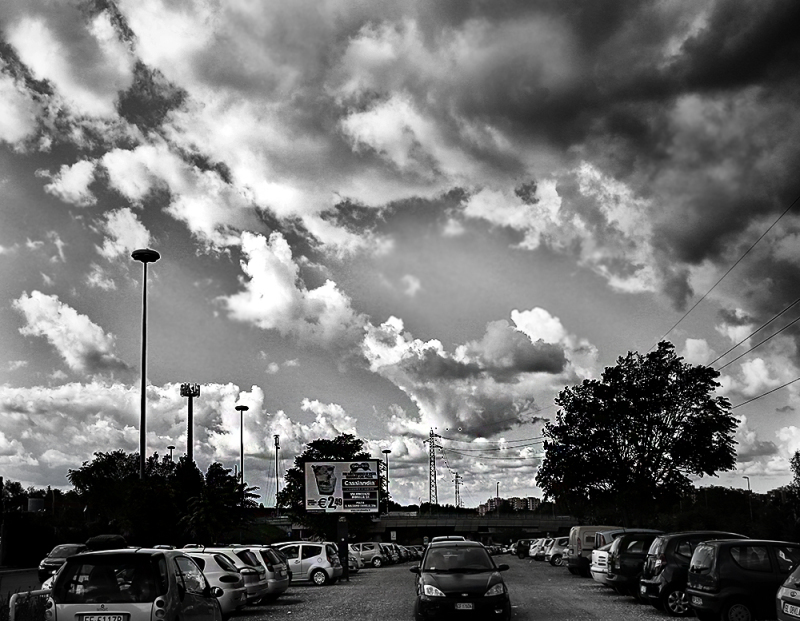 A dramatic sky above the cars. You named it perfectly! Marvelous sky! Nice B&W image! Many kinds of cloud are captured well.